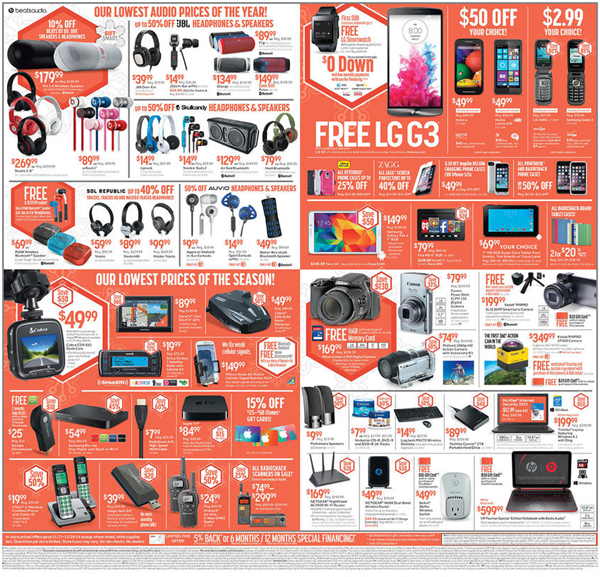 Black Friday is almost upon us, and consumers will be climbing over each other to get their hands on some of the best deals in town. 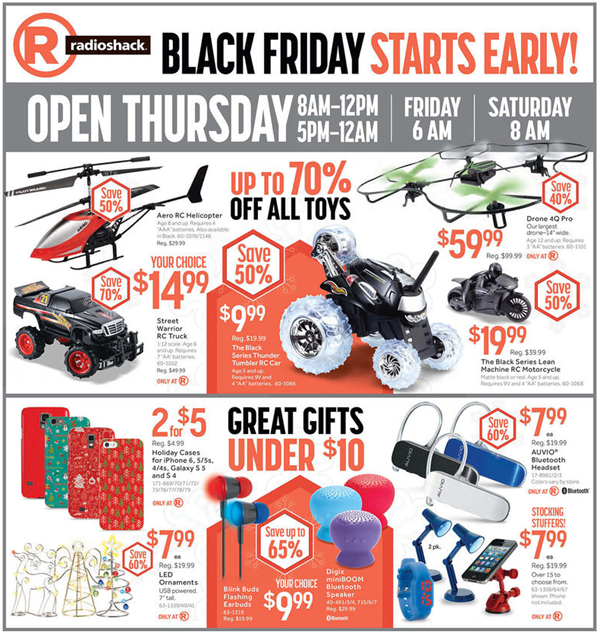 Famous retailers – Staples and RadioShack have had a bit of a slip up, and according to leaked flyers, their deals for the big day have been revealed a tad bit early. 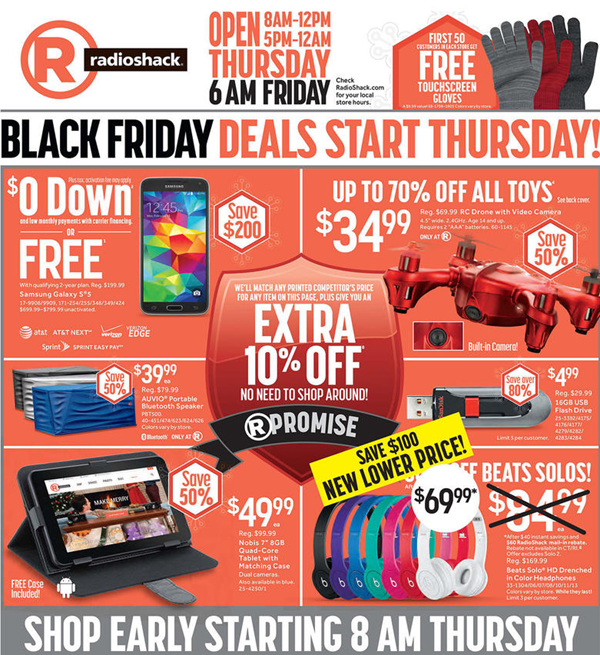 Apparently RadioShack and Staples have planned for an array of deals on most Apple-branded products, including the iPad, Apple TV, iPod touch and various accessories. 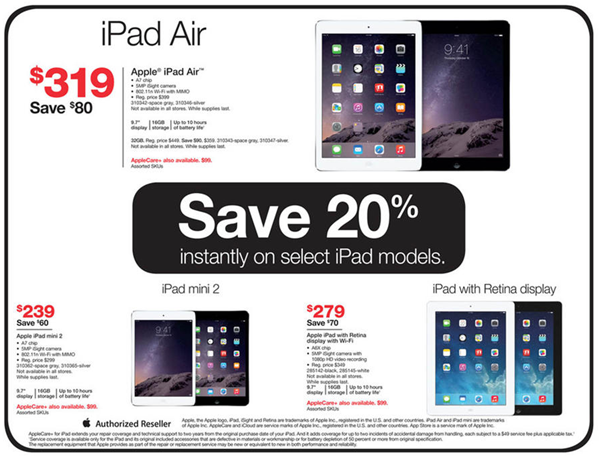 Staples is focusing largely on discounted iPads with a 20% immediate discount on select models, with a slight discount on the Apple TV as well. 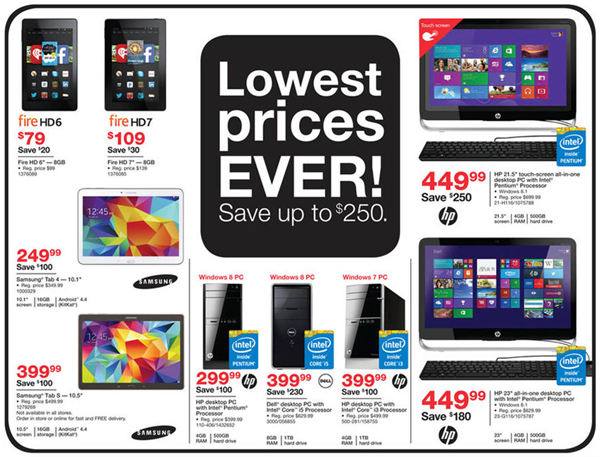 Staples is all set to knock off an impressive $80 for the iPad Air 16GB putting it at a modest $319 only. 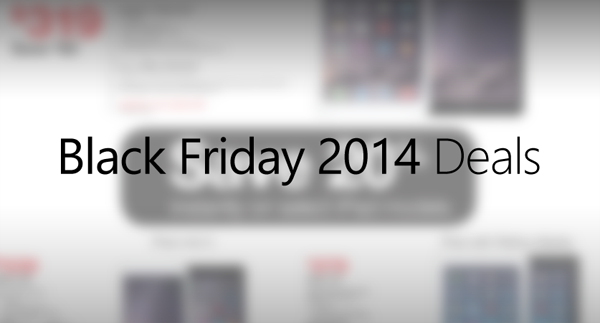 The iPad mini 2 with Retina display will get a $60 cut, bringing the tablet down to only $239. That’s not all, the iPad with Retina display will be up for sale at $279 with a good $70 cut. We don’t see any deals for the newer models but that’s hardly surprising. 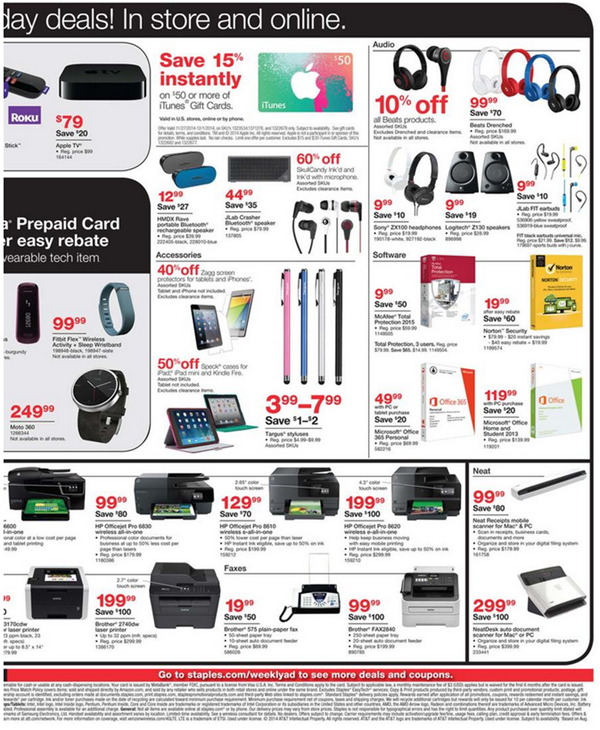 Staples is also offering the Apple TV for $79 instead of $99, along with a very modest 10% discount on all available range of Beats headphones. Oh and $50 and over iTunes Gift Cards will be available at a 15% discount. 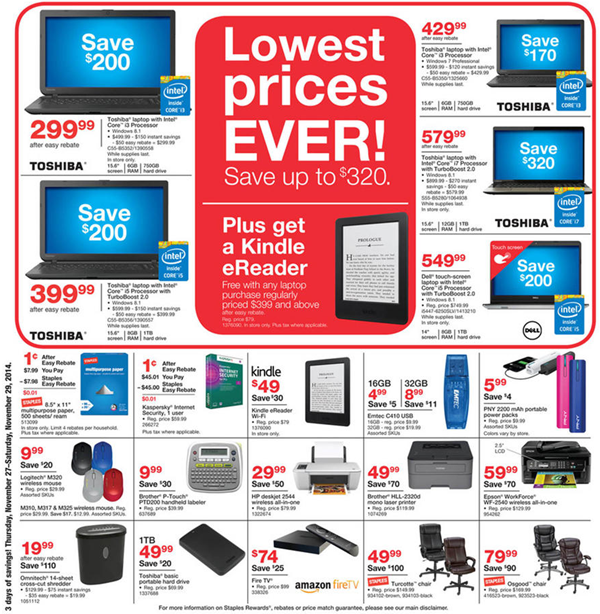 Staples has a variety of non-Apple products up for sale as well, including an Intel Atom powered ASUS X205TA 11.6-inch Windows 8.1 notebook going for a ridiculous $100. 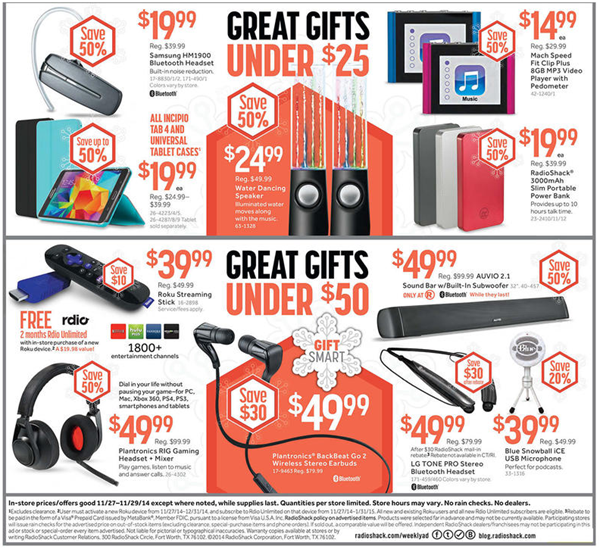 You also have The Galaxy Tab 3, Tab 4, the Amazon Kindle Fire HD 6 and HD 7 and much more. 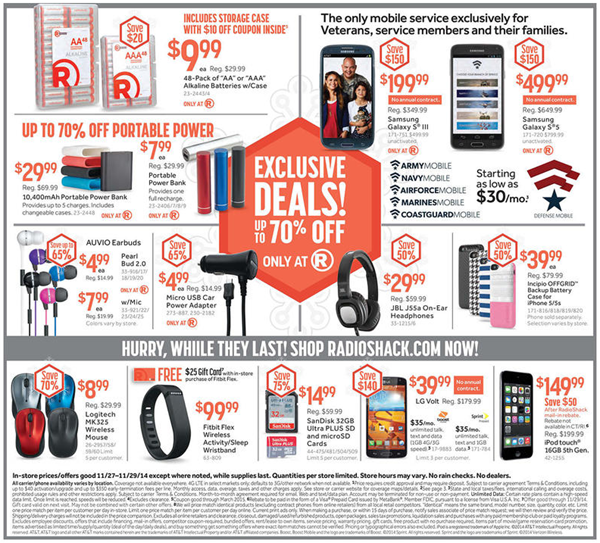 RadioShack is keeping it simple this time around and has no major Apple products included in the offered deals. However, you get the Apple TV for $85, while the 5th-gen iPod touch 16GB will be up for sale at a mere $149. 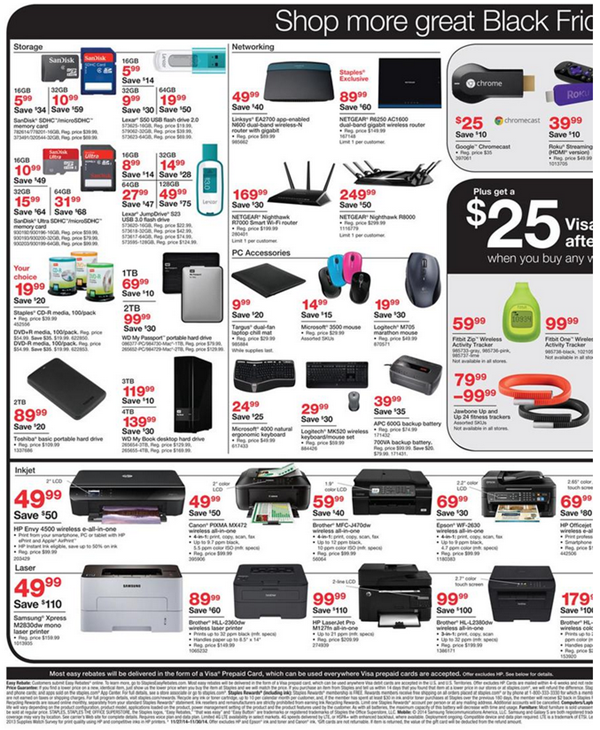 And like Staples, a 15% discount will be offered on iTunes Gift Cards as well. As far as headphones are concerned, Beats by Dre Solo HD Drenched will be up for sale at $69.99, but with a mail-in rebate. As mentioned earlier, plenty of iPhone and iPad accessories will be up for sale as well. 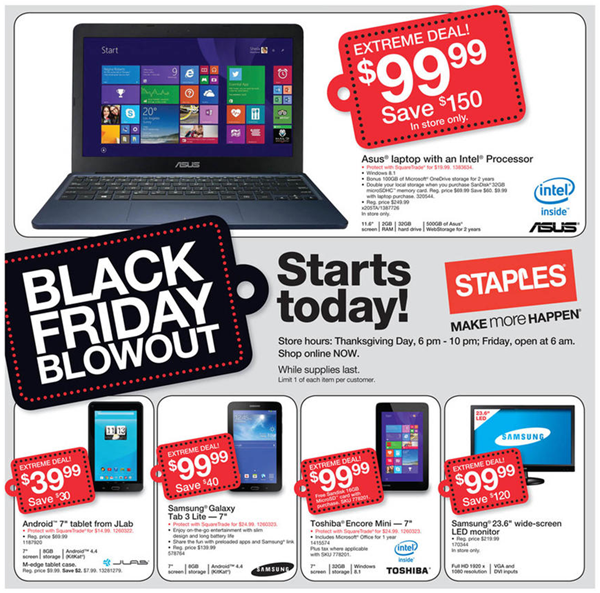 Keep your eyes open as we’ll be bringing you more deals when the big day arrives, so stay tuned!